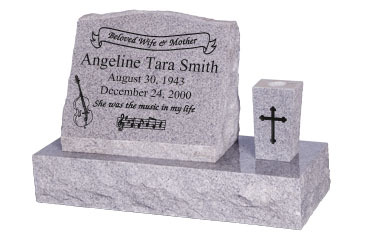 We offer a wide variety of granite and bronze headstones and monuments. 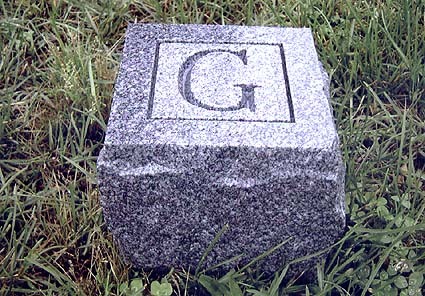 Granite is a common stone used for cemetery monuments, comes in a variety of colors, and stands the test of time. 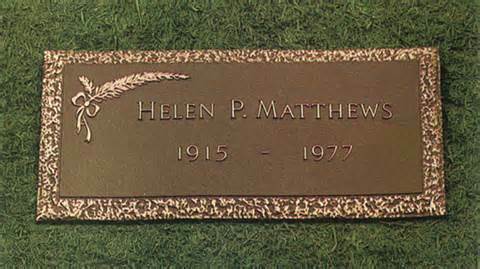 We can help plan a monument that will fit the personality of your family. 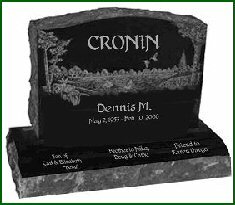 Decorations, photographs and custom designs may all be put on your permanent monument. Many people choose to have corner markers to mark their lot boundaries. Usually corner markers have the family name initial on them. We have a representative display of monuments here at the Eldon funeral home. 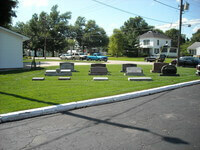 Our trained staff can advise you as to available styles, finishes, colors and prices. 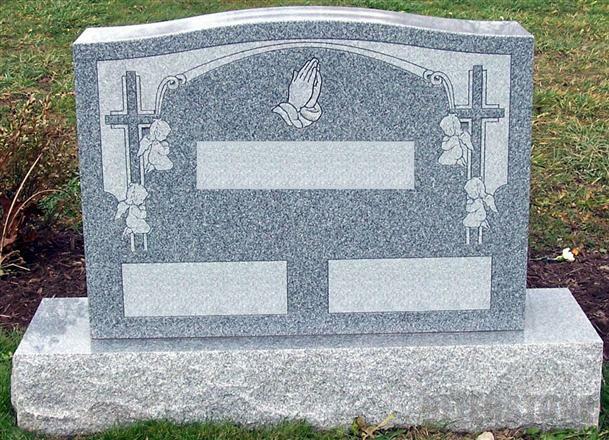 All monument prices should include professional installation on your cemetery lot, and no monument will be made without written authorization and viewing a final drawing of the stone.